Before I decided to abandon my academic career and to spend my time on working with clay, I went through stages that every amateur is familiar with. 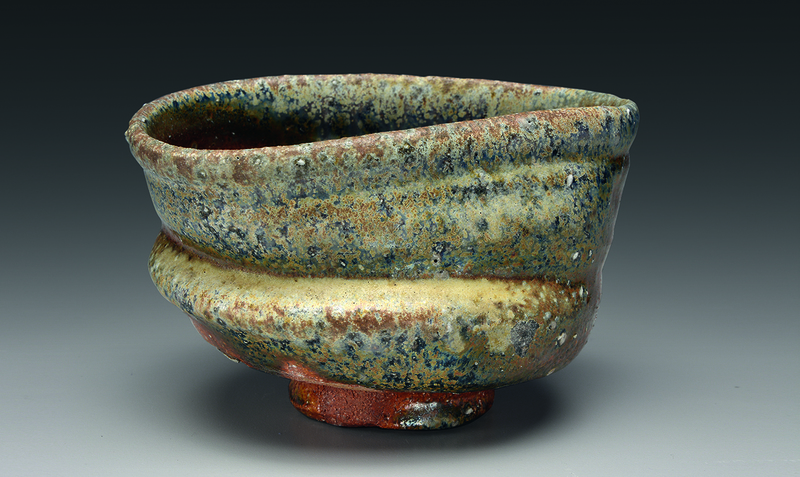 I learned to throw in evening classes, made tableware and saw myself as an English potter who was putting Bernard Leach’s values into practice. But then two separate experiences made me change my plans. The first was a visit to the Museum für Kunst und Gewerbe Hamburg. I admired the form and the glaze of a Korean porcelain bowl and thought naively, wow, Koreans make ceramics like we do in Europe. 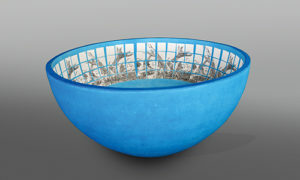 When I later read that the Goryeo celadon bowl was over 1,000 ears old, I realised the enormous challenge of adding uniqueness and quality to this perfection 1,000 years later. Of course I could change the arc of the bowl by a few degrees, draw a few lines with slip or mix a different glaze – but tens of thousands of other potters (and IKEA!) had already done this before me. The next revelation was the shards of pots in the Xianrendong Caves in China, which were supposed to be 20,000 years old! These prehistoric vessels were made from low-fired, coarsely prepared clay. In contrast to this, the hardness of fired porcelain is around 7 on the Mohs scale and thus harder than most rocks. When Joan Serra opened de door of his studio for this interview, I confronted a big sturdy man, with long gray-haired beard, who greeted me with a deep coarse voice. His manners were rough but kind, and if I wouldn’t have known his work, I would have expected him to be a traditional potter throwing immense jars and working in a chaotic cave. Instead, I was invited to enter a huge, bright, spotless studio that revealed a meticulousness behind a seemingly accidental work. The showroom on the first floor exhibited some of the pieces that have taken him gain reputation as an innovator in the art of ceramics, and when entering the workspace, the idea of a primitive chaotic cave banished completely. The place looked closer to a laboratory than to the cliché of an artist studio, and all tools, tests and materials were perfectly organized and labelled. We finally got to a cosy library, where we talked over a steaming cup of coffee about his particular working process. Oddly enough, when I repeatedly asked him about his career and how he arrived to his particular artistic expression, I got no definite answer. He seemed to have been always passionately researching the influence of temperatures on clay and its shapes, increasing his knowledge of the materials he works with. What do the head offices of ABN AMRO, ING, Unilever and many other multinationals have in common? They all contain art by the multitalented Amsterdam-based artist Saskia Pfaeltzer (61). 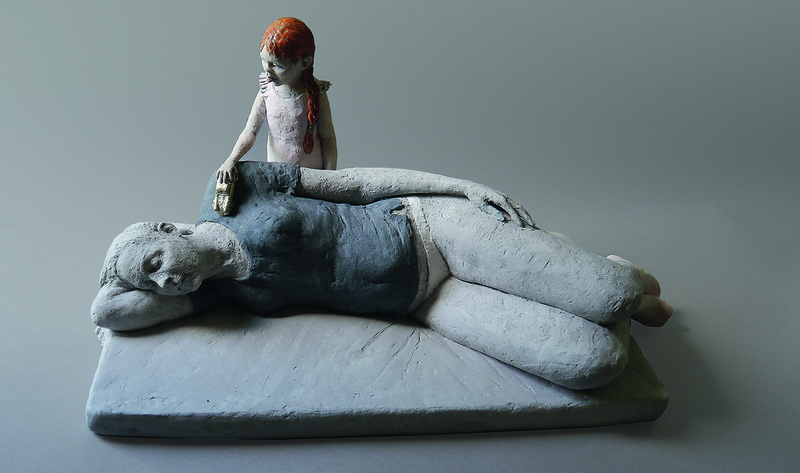 Predominantly a painter, ceramist and sculptor, all her art has one purpose – „to make others happy through my work“. Saskia is not a mainstream artist, but she can be found in many renowned galleries and conservatories. Large multinationals cannot fill their art collections fast enough. Those that visited the Unilever headquarters in Rotterdam, for example, used to come eye to eye with her sculpture, The Far Away Journey – a standing male figure carrying a shield. Unfortunately nowadays Unilever art is stored away. 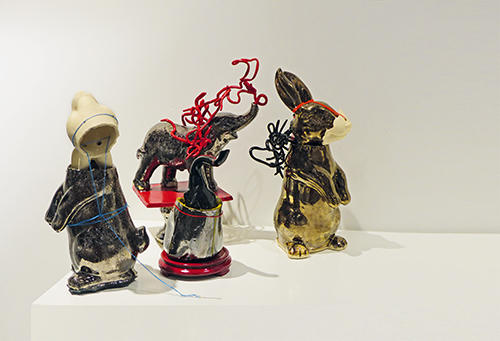 Saskia’s uses many materials – bronze, clay, plaster, wax, paper, polystyrene and countless more. 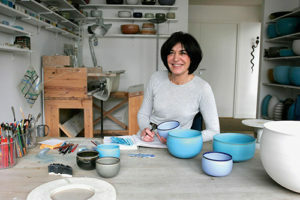 She makes ceramics, porcelain vases, paintings, bronze sculptures and nowadays even line drawings. 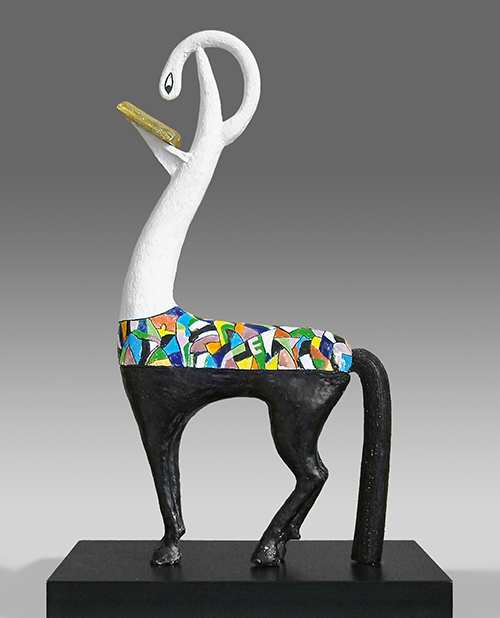 Her art becomes dancing figures, animals and much else. 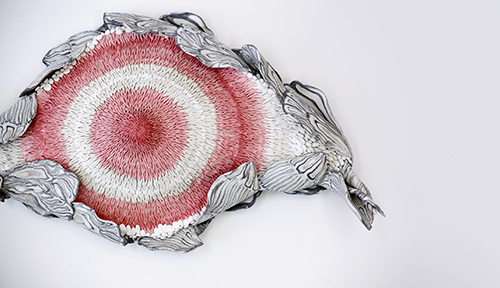 The single thread that ties all her work together is „liveliness“, as she expresses it. It is reflected in her life-long love of dance. She would have been a dancer had she been accepted into the dance academy as a young woman. 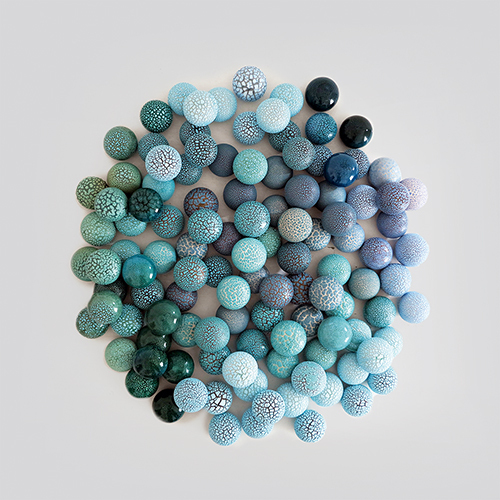 If you were to ask of Rachel Wood who had influenced her work, her practice and procedures above all else, she would reply without a moment’s hesitation „Robin Welch“; and equipped with that information you might well make the connection. Yet the similarity isn’t so glaringly obvious without that elucidation; yes the textures are familiar, the hues share the same values and the dry, semi matt surfaces are reminiscent but they have an organic quality that is quite their own. 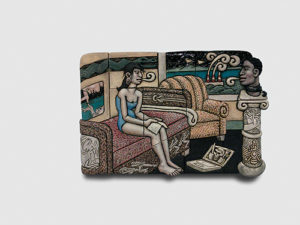 Welch’s works are of course quintessentially painterly, they are a combination of composite delineations, squares and geometries, juxtaposed with vessel. Wood does not demarcate areas of colour like this at all. Her surfaces are of the landscape, from strata and fauna, wood-barks and lichens. Her forms have a comfortable, confident irregularity, not forced out of structured symmetry but alluding to it like a tree or plant might grow, quite organically. It is these qualities together, this combination of form colour and texture that places her work, makes it recognisably hers, sets it apart from Welch. 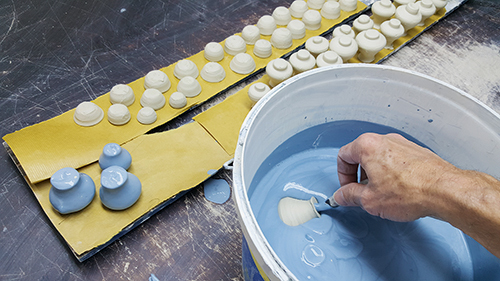 If we take a bird’s eye view of ceramics, we are proud of its past full of outstanding achievements. It is a chain of individual inventions, but also role models and emulating experiments. Traditional knowledge and skill grew and led to a great store with the desire for scientific explanations. People said, „I know how it works and it doesn’t work. Or it works and I don’t know why“. 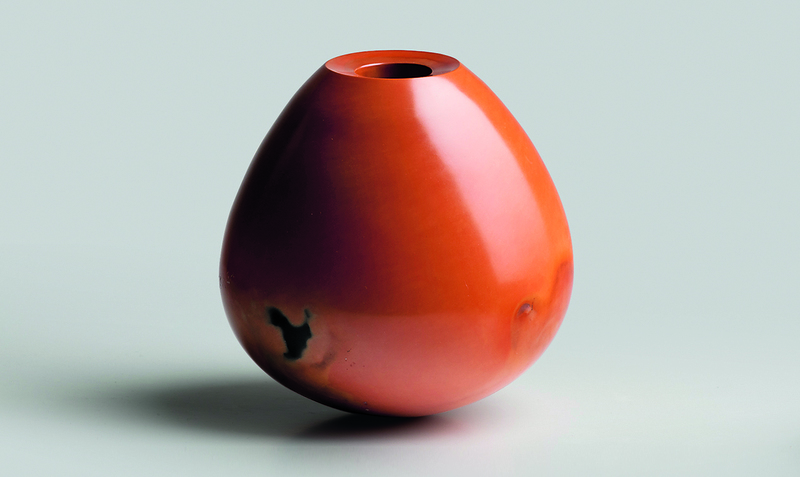 People believed that with scientific knowledge, ceramics could be moved forward. Science and technology enjoyed great success in many areas. For a long time, knowledge about how to do things was experience, and it was only with the alchemists that it became knowledge based on research. But the time before this demands great respect, with the coloured glazes in the Ishtar Gate in Babylon dating back to the 6th century B.C.E. a popular example. The centaur Chiron was just, empathic and wise. He renounced immortality and Zeus changed him into a constellation. Lavish working conditions and the warmest hospitality were the outstanding features of the second International Symposium for Contemporary ceramics in July 2016 at the tradition-rich Chinese ceramics centre, DeHua in Fujian province with well-known artists from China and six further countries. 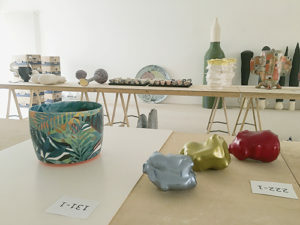 In a very friendly working atmosphere, nine artists from all parts of the world (Japan, New Zealand, Australia, Germany, Norway) and nine leading Chinese artists from Beijing, Hangzhou and Shanghai were able to create their ceramic works in a specially created studio. Quanzhou region is the easternmost starting point for the maritime Silk Route, along which Chinese porcelain has been exported all over the world for centuries, from DeHua and other places. 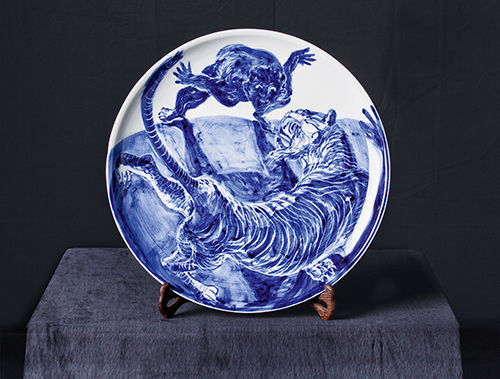 The idea of the symposium it to revive the historic and cultural bonds through an artistic exchange in the field of ceramics and to receive inspiration from all the artists from foreign parts for the millennia-old Chinese porcelain tradition. In the Ceramic Portrait at the Oldenburg Ceramics Fair 2017, Sasha Wardell and Tomoko Konno demonstrate how precision in ceramics can lead to two very different goals. 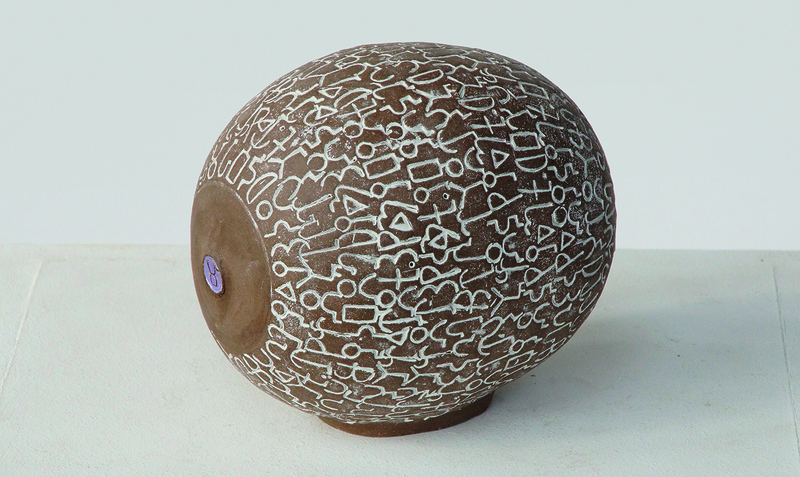 Every year, the news is eagerly awaited of who the Werkschule, the organiser of the Oldenburg International Ceramics Fair, has selected from the international world of ceramic stars to take part in the approaching Ceramic Portrait. 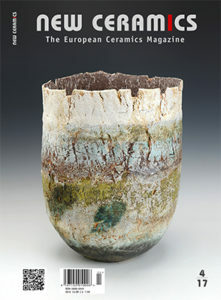 It is uncommonly appealing to listen to the masters of clay world, in this workshop presentation, in a relaxed or even almost private atmosphere to discover how they explain their oeuvre, developed over years or even decades, and to watch how in practice they develop their incredible creations. 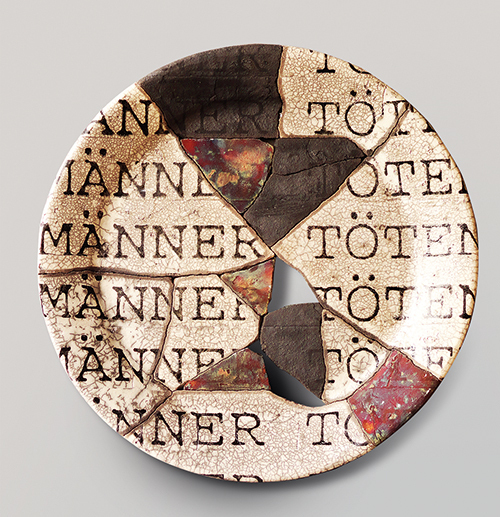 Ceramic professionals, amateurs and the interested public use this annual opportunity to experience in close-up the work of top-drawer ceramists and how they are made, especially since these stars never otherwise visit Germany and are especially invited to take part in this event. 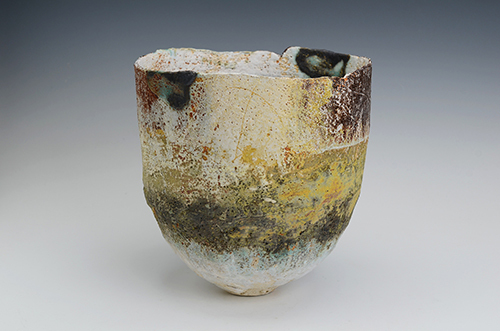 And this is exactly how classy it will be this time: on Friday, 4 August 217, the Ceramic Portrait presents Sasha Wardell from England and, from Japan Tomoko Konno. 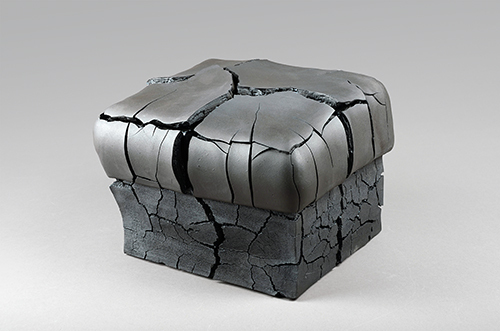 This year Ceramic Art London (CAL) returned to its new home, the stunning Granary Building near King’s Cross that now houses Central St. Martins, one of London’s best known art colleges and the only college in London still offering ceramics to BA level. The fair was held from Friday, 31 March to Sunday, 2 April in Central St. Martins’ dramatic, light-filled atrium and my visit on Saturday confirmed that the new venue is able to meet last year’s high expectations. The aisles were packed with visitors, the atmosphere was lively and this year the organisers also had commissioned an interactive feature. Karin Östberg was born in 1955 in the north of Sweden. 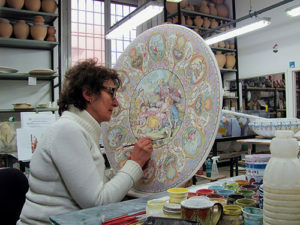 She has been working on various glazes with either delicate constructions or globe balls, both series present impressive images of the artist‘s work. Lee min-soo was born in Seoul, Korea in 1980. 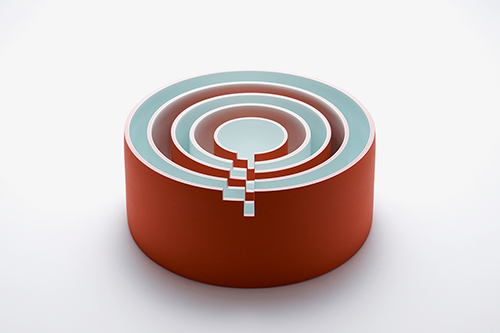 Lee’s porcelain combines several techniques. 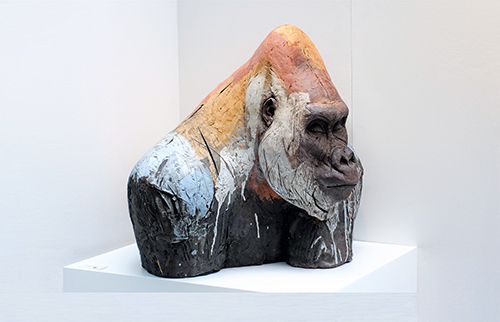 He puts a plaster mould on the turning wheel and pours coats of different coloured slip layer by layer while rotating at high speed, his work reveals the richness and serenity of the works. The whole process requires precise, present and perfect timing. Martin could actually be an archaeologist too because of the way he works, using a hammer and chisel. What he wants to achieve is to partly reveal again the miniature vases and bowls buried in a block of clay, like in an archaeological dig.